Nissan LEAF first will be available to consumers in December, in California, Washington, Oregon, Arizona and Tennessee. These areas are home to The EV Project – the largest electric vehicle and infrastructure deployment ever undertaken. The EV Project is a result of a partnership with charging infrastructure provider ECOtality and partially funded by a grant from the U.S. Dept. of Energy. 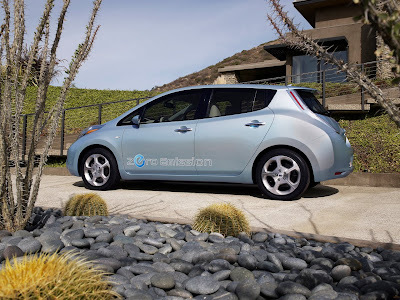 Customers in these first five launch states, who represent more than 55 percent of total Nissan LEAF reservations, will be able to place firm orders for the Nissan LEAF starting in August.